On 6th of October, Sunday, at Shankaracharya Dr. Kurtakoti Nyas, Gangapur road, a 2hr 15min interactive session on “Jagar Manacha”, was organized. 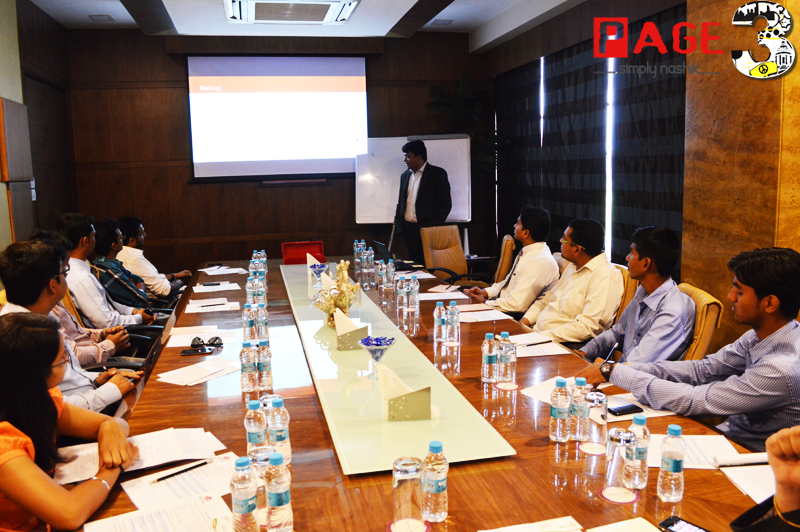 The event was hosted by Srujan Consultants, a city based management consultancy firm. A full house response showed the urge of Nashikites to find ‘the personal space’, which one hardly gets, in this exhaustive routine. 40th successful sessions of Jagar Manacha definitely offered the required self-analyzing space to the audience. 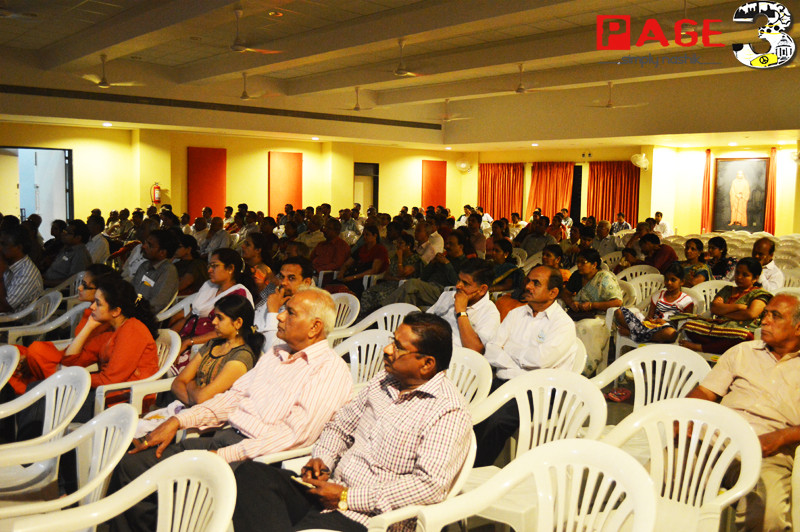 The program has found applauds from the keen audience of Pune, Kolhapur and many other places. Srujan Consultants frequently organize these open to all sessions on “Jagar Manacha- Transforming Attitude, Transforming People, Transforming Organization” to increase awareness of principle centered, inspired living in all the generations. Mr. Shantanu Gune (Founder of Srujan Consultants), who is a well known counselor in the city, has started this social activity to reach maximum people and make them aware the importance of ‘principle centered and inspired’ living in this fast, over demanding, highly competitive world. He also conducts various workshops on attitude transformation for performance excellence through self-leadership. 6th October’s session put a bright light on the gap between what we think and what we act. 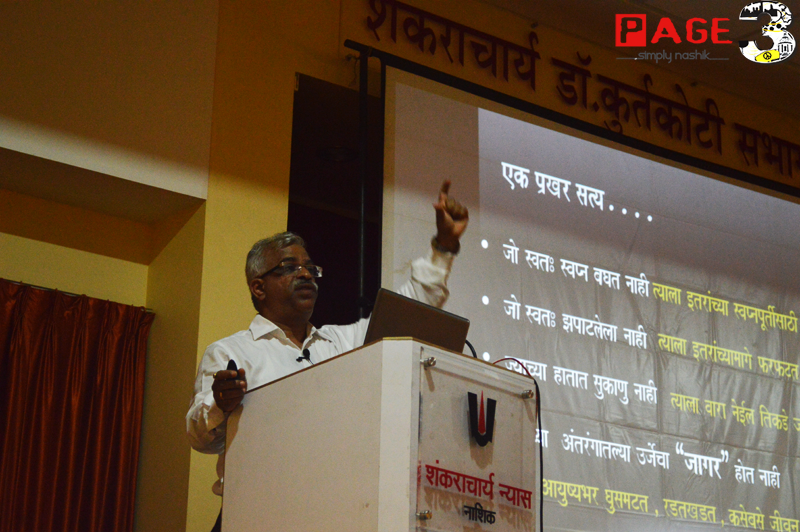 The engaging audio-video presentation delivered by the speaker, Mr. Shantanu Gune, made audience linger over the thought of how correct perspective towards self would create the harmony in individual’s life. It was an eye-opening session for every age group which asserted the importance of talent aligned to the correct perspective, if pursed passionately, can turn our dreams into reality, you start your journey towards excellence and you live INSPIRED life each moment. 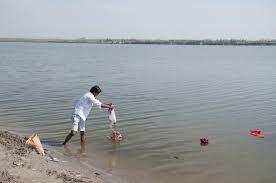 The subject was spiritual and philosophical but it was aptly customized for the requirement of a common man i.e living a happy, blissful and inspired life. The lecture was an apt application of ancient Indian philosophy for achieving excellence in each role an individual has to play. Through this session, universal principles for performance excellence were described supported with appropriate motivating examples. Through out the lecture importance of principle centred self leadership in today’s wrong and degrading social values was emphasized. 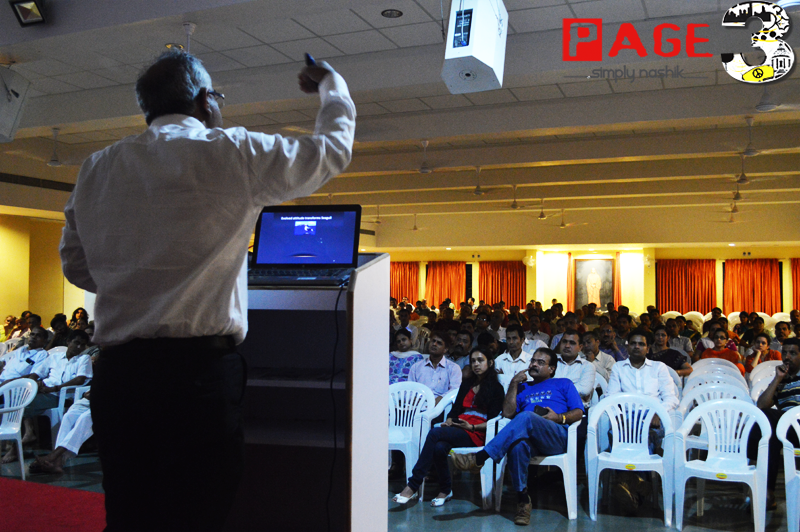 Mr. Shantanu Gune focuses on youth to build the correct perspective required to LEAD in the highly competitive world. He is open to conduct such sessions on any available platform and contribute for betterment society.